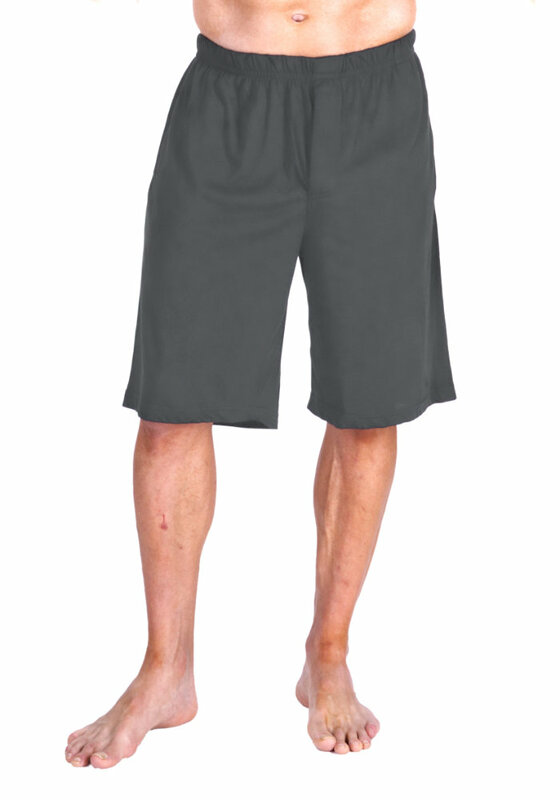 Style #T4922 Create your own set of moisture-wicking sleepwear with our new longer length Men's Long Boxer Shorts from Cool-jams™. With side seam pockets, a longer 10" inseam and relaxed elastic waistband, these boxers are just as comfortable as they are functional. These comfy long boxer shorts wick moisture caused by night sweats, with our unique Cool-jams™ moisture wicking technology integrated into the soft, silky fabric. This innovative technology will never wash out, no matter how often you wear them, and it even helps to eliminate the bacteria that causes odor on the skin. Because it helps to regulate your body temperature from cool to warm and back again, you can wear these moisture-wicking boxers all year round. Choose a pair of Men's Moisture-Wicking Boxers from a variety of stylish colors, and even pair them with one of our other wicking separates on top. Because of their lightweight feel and wrinkle-resistant properties, these moisture-wicking boxer shorts are also a great option for travel. Care instructions: Wash your moisture-wicking boxers in cool or warm water on gentle cycle. Avoid using fabric softener. Tumble drying won't damage the long boxer shorts, but can create static. My husband loves this brand of sleepwear. The new longer length boxer bottom is perfect. He is extremely happy with all your products. If you want to sleep better this is the brand for you!